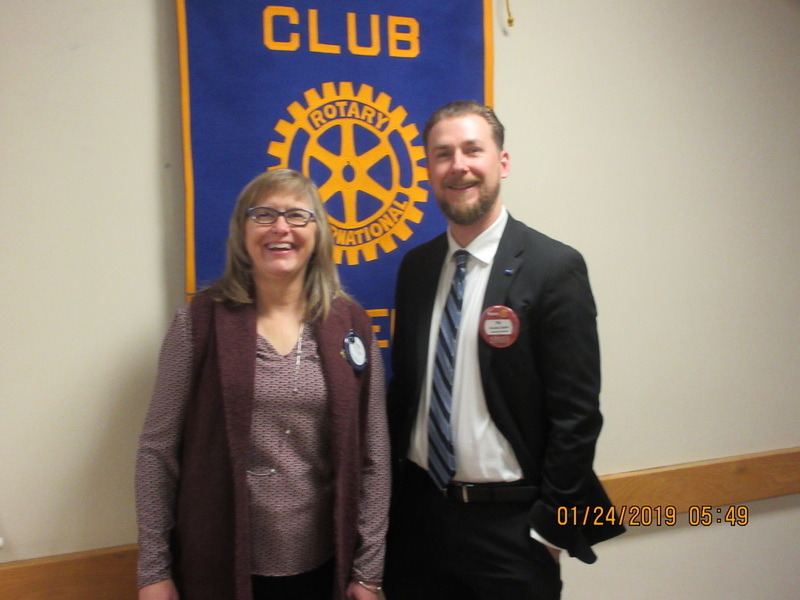 Thursday's Regular Meeting on January 24, 2019 featured member Nic Baker speaking on "Social Media". He explained about the three types of people one sees on Social Media and in Business leadership: 1), Connectors-People who Know Everyone; 2) Mavens-People who Know Everything and 3) Sales People. He explained how each type of person can use Social Media. He also explained about the different Social Media Platforms and how it was important to select the right platform to get out your message. It was fascinating to learn the age demographics associated with the different Social Media platforms. Bobby Wallace presented a check to the Club for $5000 which represents our Clubs share of the proceeds from the Clay Shoot Fundraiser held at Tinnen Farms last fall jointly with St. Pius. Governors Ball Auction Brad Ekhoff made a presentation on the new Governors Ball App which was created by Satellite Member Kelli Muwumba. At the January 21, 2019 Satellite Meeting, Alietress Owens, owner of ActiKare talked about finding home care and how she started her franchise in ABQ. On January 22 at Jimmy's Cafe the RDS Board met for its Regular Meeting. Among items discussed was President Dacia establishing a Committee to narrow down the various suggestions received for the 2020 Governors Ball. The membership will have an opportunity to vote on the suggestions at a later time. The Regular Meeting on January 31 will feature April Spaulding speaking on "Autism-What is It" This will be an interesting presentation on a subject most of us know very little about. On February 14, 2019, Valentines Day, the Regular Club Meeting will be an opportunity for Members to bring their spouse or significant other as a guest to the meeting. Please sign up if you plan to come and bring a guest. Location is still undetermined. To register click on the event in the Event Calendar on the Home Page of Club Runner. Lets all have a Great week in Rotary putting Service above Self.